We went to Art For the Cash Poor at Crane Arts in South Kensington a few months ago, and as has been the case in the past, we were able to snag some pretty great artwork for some very reasonable prices. Living on the other side of town as we do (and not remembering that inexpensive booze would be available), we drove to the art show, parking on the street a block to the north. 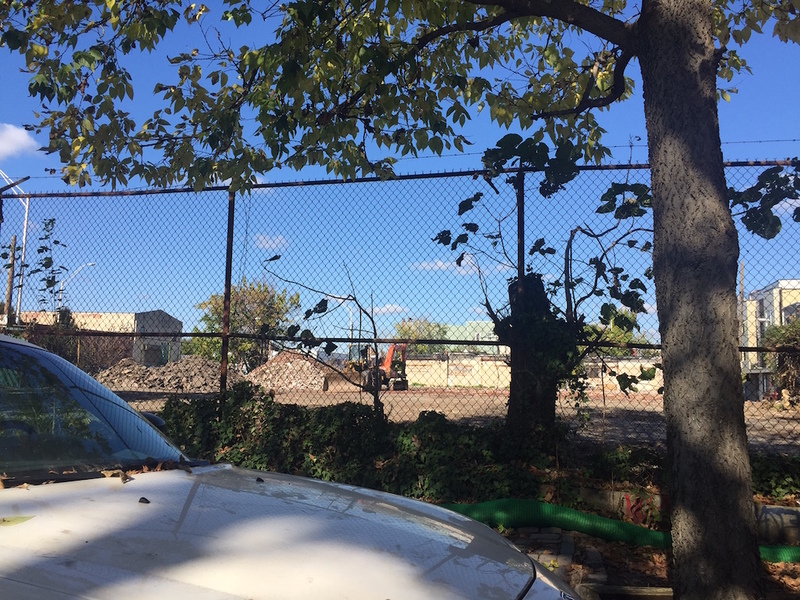 We parked in front of a large vacant property, 1525 N. American St., which was the site of a candy manufacturer once upon a time. This property was recently cleared though, in anticipation of redevelopment. Current view on N. American St. 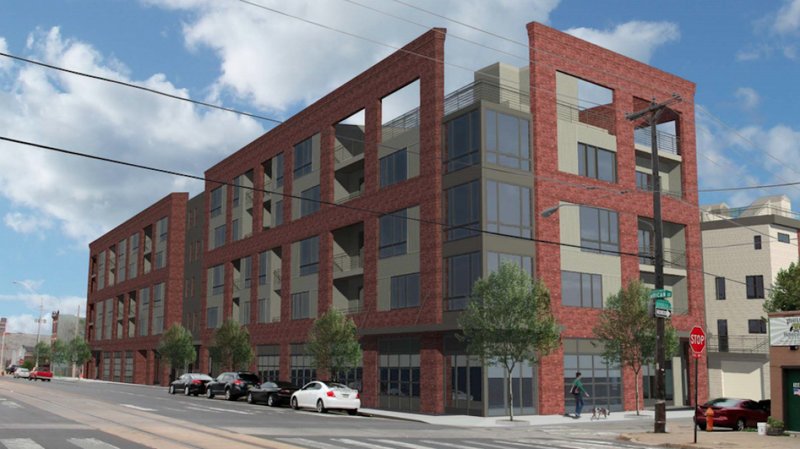 The project for this property has been a long time coming, with the developers going before the Civic Design Review committee almost two years ago. 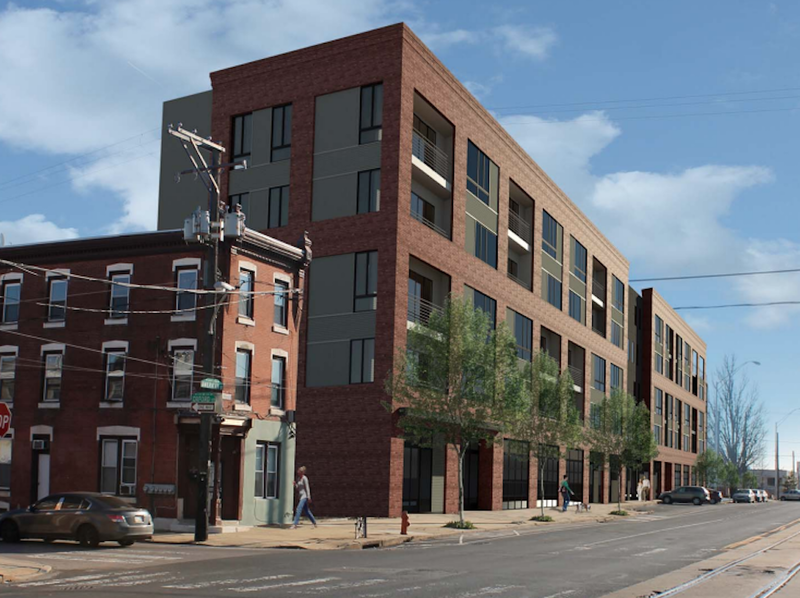 In short, the project calls for eighteen homes fronting Philip Street and a mixed-use building on N. American Street with 46 apartment units on the upper floors and two retail spaces below. One retail space will be a restaurant. Ho hum. The other retail space will cover about 15K sqft, most of the first floor and basement of the building, and will be a large co-working space that’s available gratis to anyone launching a tech startup. This space will include small offices, open workspaces, and several lounges. 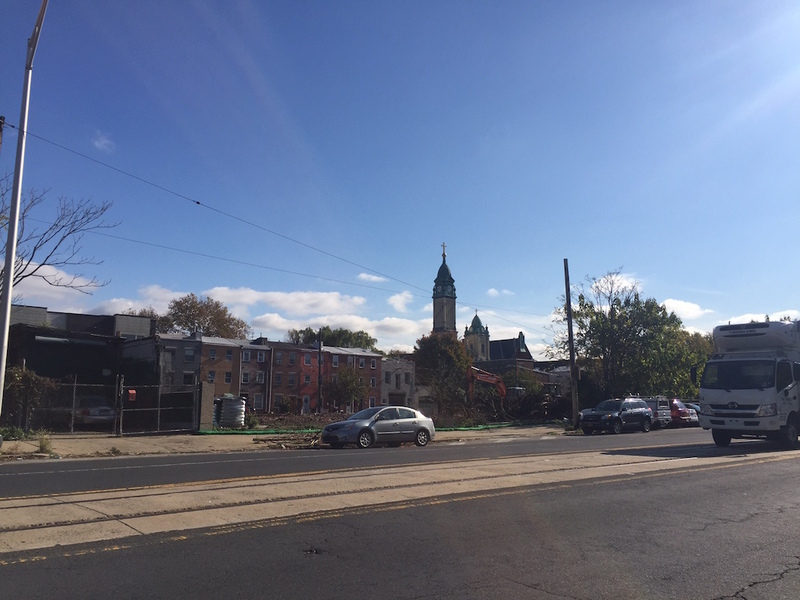 Because of this tech space, the developers are calling the project Techadelphia. Harman Deutsch did the architecture work, and these renderings come from the CDR packet. 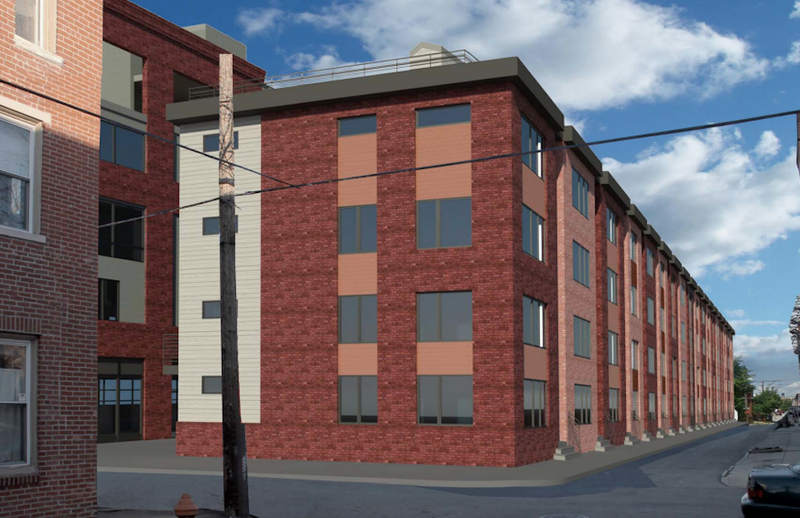 Renderings of the homes on Philip St. The combination of an ambitious concept and the long wait since the project got approved by the ZBA made us fearful that this project wouldn’t come to pass, like so many other projects we’ve seen over the years. The fact that site work has now begun at the property is a strong indication that construction will start soon, and that the project is indeed a go. We wonder how many companies will get their start in this building and eventually go on to become major employers in Philadelphia. We’ll check back here in a decade or so (well, probably sooner), and we expect that some incredibly impressive businesses will get started at Techadelphia in the interim. Meanwhile, if you’re thinking of starting a tech business in town, maybe in about a year, we’d like to introduce you to your new office space. The space might not be convenient for you, but you can’t beat the price. Two years to start construction after CDR? What was the holdup?